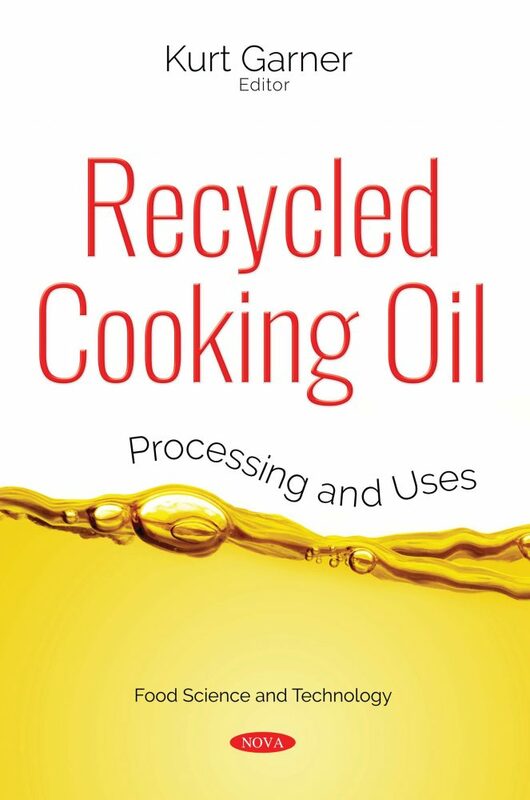 Recycled Cooking Oil: Processing and Uses reviews the production of polyhydroxyalkanoates (PHA), polyamides (PAs), polyurethanes (PUs) and epoxies, along with their potential use as a plasticizer or in composite development. Some recommendations are suggested to rationalize the use of SCO as a low-cost, yet valuable raw material for the production of biomaterials. The authors present the main environmental problems caused by the incorrect disposal of waste cooking oil and possible bioprocesses that can be used for pretreatment and recycling of oil. The following topics are addressed: introduction; incorrect disposal of waste cooking oil and environmental problems; pretreatment of waste oil with the use of microorganisms and the enzyme lipase; recycling of waste cooking oil through the production of biodiesel; and future prospects of waste oil pre-treatment and recycling. Additionally, the use of heterogenous catalysts for biodiesel production from waste cooking oil are reviewed, maintaining that waste cooking oil offers significant potential as an alternative low–cost biodiesel feedstock which could partly decrease the dependency on petroleum-based fuel. Biodiesel is explored as a waste cooking oil with untapped potential that can be utilized to produce various useful products. The challenges of finding more efficient separation of products, simpler processes, lower energy consumption, and continuous pilot plant trials for processes that are still in their infancies are examined. Special attention is paid to the development of acid catalysts that can be recovered and reused in the WCO esterification reactions. The authors hope that this work can significantly contribute to the improvement of this important research field.